Paambhu Sattai on the floor! Home » Bobby Simhaa | Paambhu Sattai » Paambhu Sattai on the floor! With the choice of characters he has made, Bobby Simha is one to watch out. With his Urumeen and Chennai Ungalai Anbudan Varaverkirathu doing the rounds, he will start shooting for his next venture Paambhu Sattai, directed by Adam Dasan. 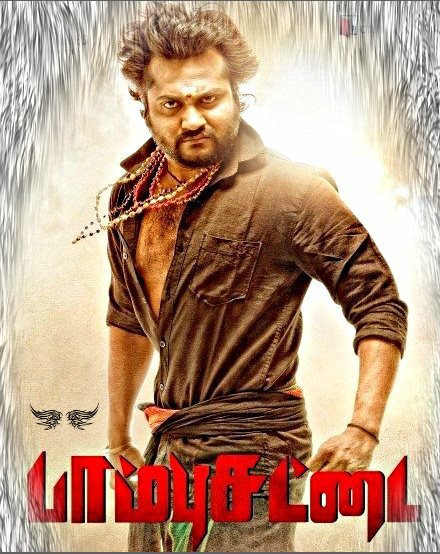 Paambhu Sattai is the upcoming Bobby Simhaa starrer that has started its shooting on Wednesday Morning. Malayalam beauty Keerthi Suresh will play the female lead role in Paaambhu Sattai. Bobby Simhaa who got much awaited break with Jigarthaanda is playing the lead role in this black comedy entertainer to be directed by Adam Dasan, a former assistant of director Shankar. Paambhu Sattai Firstlook posters were released in December and the regular shooting starts from today [Feb 11]. Sarathkumar, Radikaa Sarathkumar and Listin Stephen's Magic Frames is co-producing Paambhu Sattai in association with Manobala's Picture House banner. DOP KG Venkatesh, debutante music director Ajesh Ashok, editor Raja Sethupathy, art director Pandiaraj, choreographer Brindha, Stunt master Billa Jagan, lyricists: Vairamuthu, Yuga bharathi, Viveka, Madhan Karky are part of film's crew. Bobby Simhaa is currently juggling between Urumeen and Chennai Ungalai Anbudan Varaverkirathu. While Keerthi is shooting for Idhu Enna Maayam and Rajini Murugan.